As Therigy’s Vice President, Specialty Pharmacy Outcomes, Richard Gourash oversees development and implementation of the company’s outcomes programs. 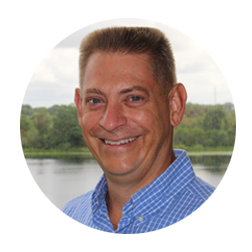 Richard has nearly three decades of pharmacy product channel and program development experience. Before joining Therigy, Richard held the role of Executive Sales – Orphan and Rare Disease for Cardinal Health. There he secured Limited Distributed Drugs in oncology, hematology, immunology, blood disorder, and orphan and rare disease areas, and developed associated product channel development strategies. Earlier on, he was Vice President of Oncology Services for AcariaHealth where he managed all aspects of the company’s oncology brand and service line – from oral and injectable drugs and supportive products, to training, clinical trial assistance, and business development. Throughout his career, Richard held clinical program, process development and business development roles at companies including ICORE Healthcare, Walgreens, Publix, and Eli Lilly. Richard earned his BS in Pharmacy from the University of Pittsburgh School of Pharmacy and his MBA from the University of Pittsburgh School of Business. At the University of Florida School of Pharmacy, he was an adjunct professor with a focus on specialty pharmacy.